Matthew Willig to play an Inhuman monster on Agents Of S.H.I.E.L.D. As reported by TVLine, former NFL player Matthew Willig (Brooklyn Nine-Nine, NCIS) has signed on to season three of Agents Of S.H.I.E.L.D. on ABC. Willig, who is apparently a large and scary man, will play a new Inhuman called Lash who “has a fairly strong opinion about what should happen” to his super-powered brethren. (For those who are less nerdy and missed season two of S.H.I.E.L.D., the Inhumans are basically like the mutants from The X-Men but different in ways that we won’t go into here.) Jeff Bell, one of the show’s executive producers, says that Lash is “a wild card” and that “you don’t know why he is doing” whatever he does. 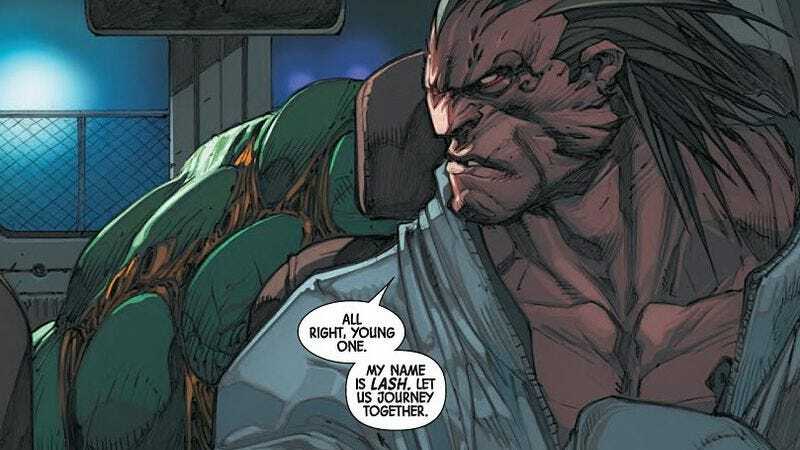 In the comics, Lash is a large and scary Inhuman man with a hairstyle that wouldn’t look out of place in Street Fighter, and Bell says the show’s makeup and visual effects teams have “come up with something that’s pretty cool” for him. Agents Of S.H.I.E.L.D. will premiere on September 29.